ARC is a good idea; however it may cause issues when using old libraries or if you have some code which use it and some which don’t. You might also accidentally clicked on it when creating the project and decide, no, I don’t really want it. ARC is not a bad idea, but it will take a while to adjust to. When you migrate a project to use ARC, the -fobjc-arc compiler flag is set as the default for all Objective-C source files. You can disable ARC for a specific class using the -fno-objc-arc compiler flag for that class. 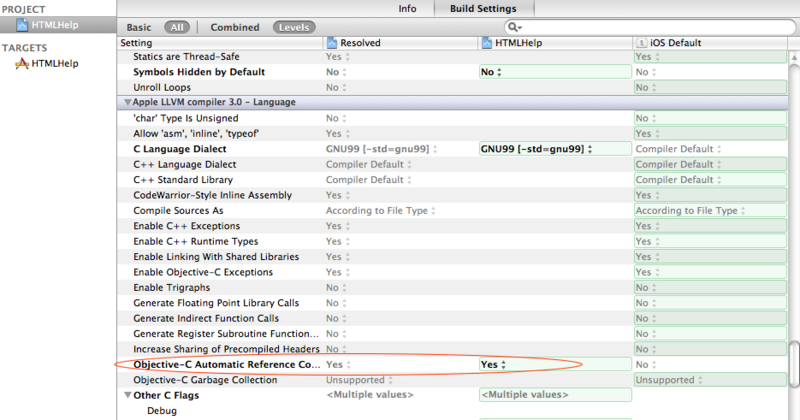 In Xcode, in the target Build Phases tab, open the Compile Sources group to reveal the source file list. Double-click the file for which you want to set the flag, enter -fno-objc-arc in the pop-up panel, then click Done.